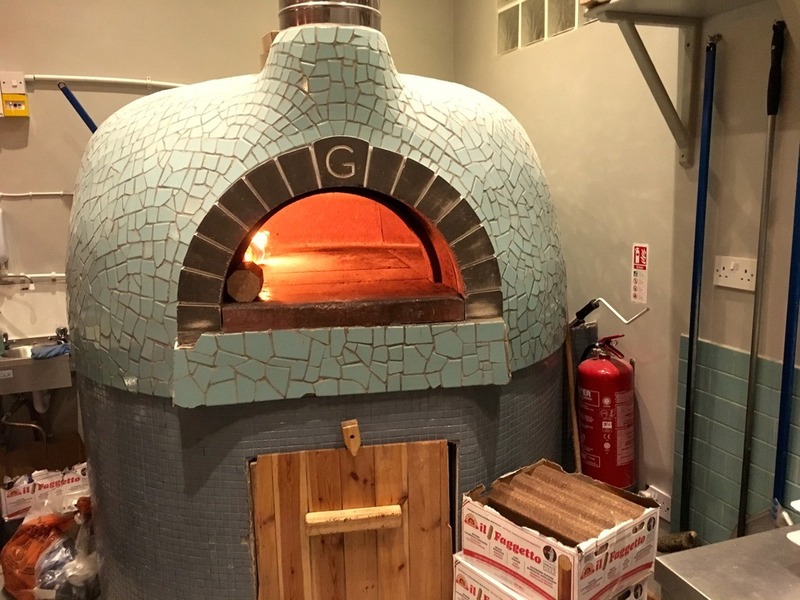 I went to Naples a few years ago in search of the perfect pizza-sadly I was struck down by a mysterious lurgy before I could get into my stride but that quest for the perfect fusion of charred light crust, melted cheese and sweet tomato continues. 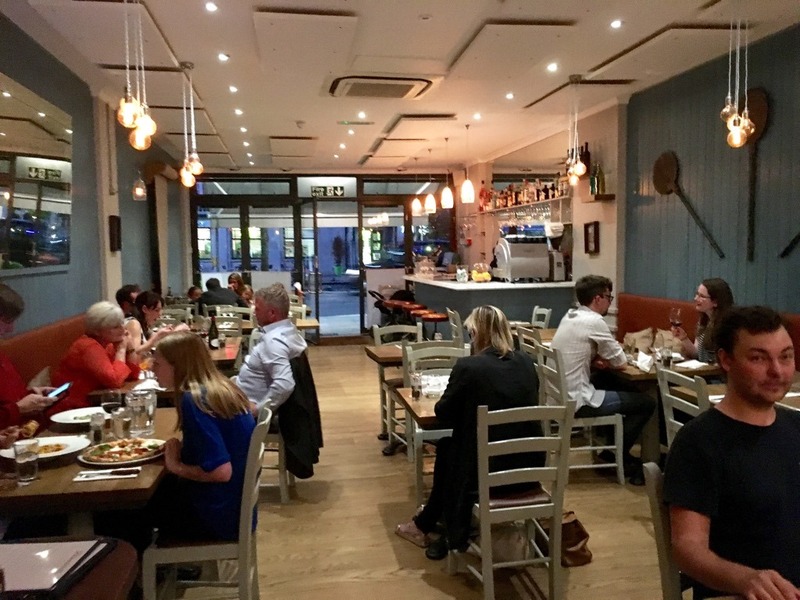 To further that aim I have been invited to do a review of Pizzicotto, a family run Italian restaurant not far from Kensington High Street tube. 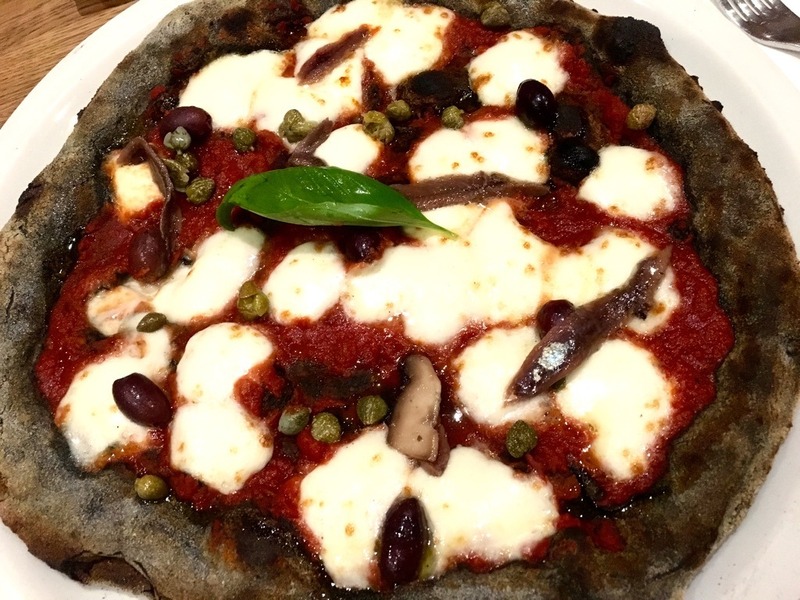 Not only are they members of Slow Food UK but their ‘ black activated charcoal pizza dough’ came in the top 20 at the World Pizza Championships so I am very excited to see how the ‘black’ pizza shapes up. They were playing old soul tracks from the 60s and 70s which added to my anticipation and the room was humming with the sound of happy noshers! 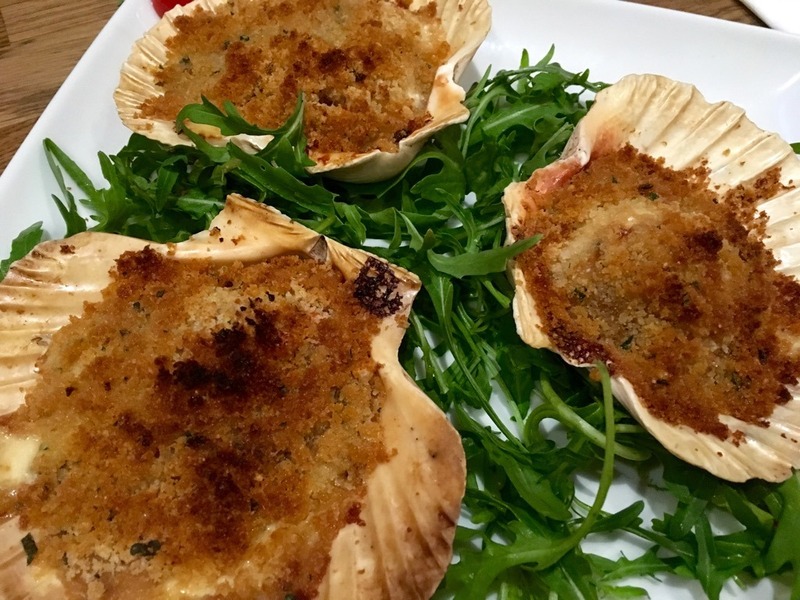 Chargrilled sea scallops (£11) from the wood burning oven came with a Parmesan crumble topping. I was concerned when this dish arrived that the scallops would be overdone but they were still plump and juicy -that’s the beauty of the wood burner which creates an intense heat allowing for a shorter cook time. 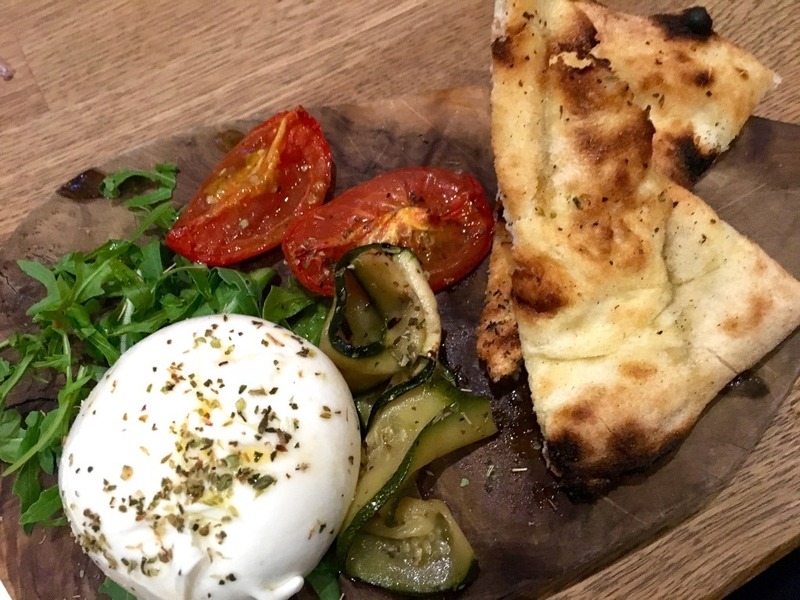 I’m surprised Italy has any Burrata left the amount being consumed in the UK at the moment. It has to be perfectly fresh and this Burrata from Puglia certainly was. Served with chargrilled zucchini, flatbread and confit tomato (£10) it was the perfect summer dish, washed down with a delicious glass of Verdicchio. 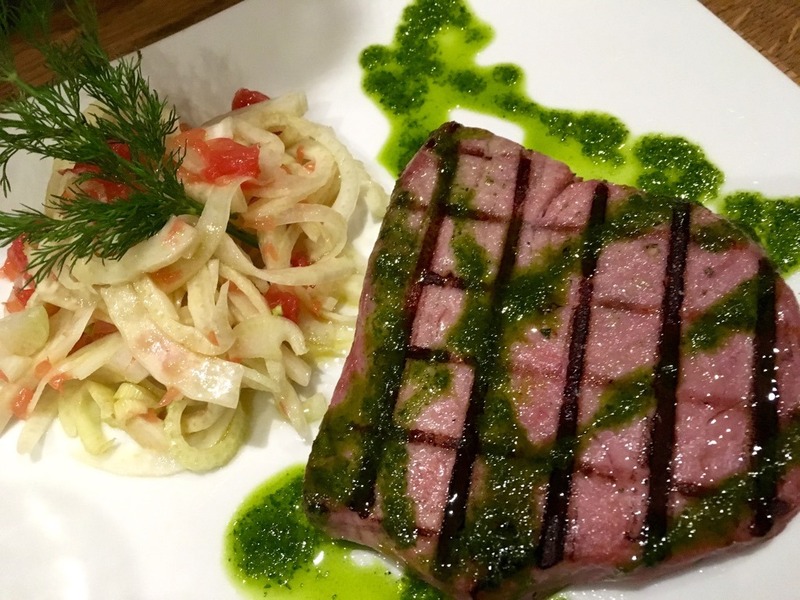 Chargrilled sashimi grade tuna with fennel and grapefruit salad (£18) was perfectly cooked – pink on the inside with the charred tramlines of the grill giving it a bit of caramelised sweetness. Fresh fish like this needs a minimum of messing with. I love fennel and grapefruit adds a sweet acidity to the aniseed crunch of the veg. And here it is! The Spacca Napoli Pizza with salted anchovies marinated in garlic and chilli, mozzarella, black olives and capers (£12.50). 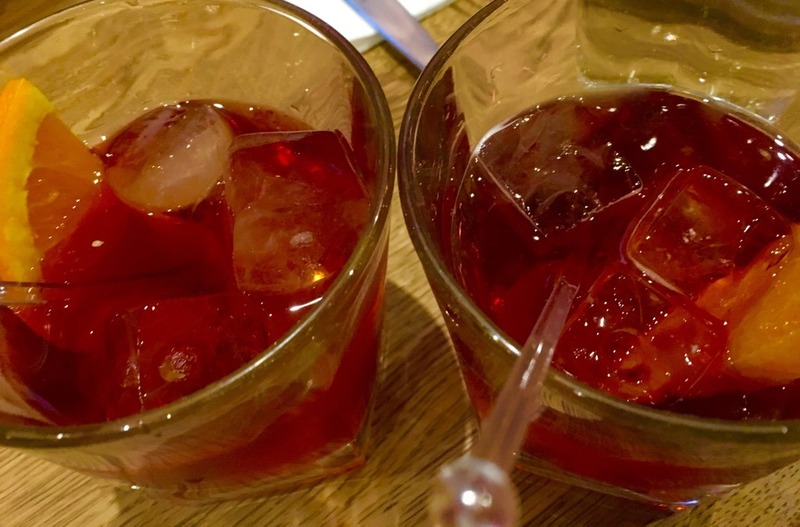 You can choose the charcoal infused base with any of the pizzas at Pizzicotto for a small supplement and it really gives it a lighter feel which aids digestion. Because the charcoal adds a distinct flavour I would recommend choosing more robust flavours for the toppings. For dessert the Amaretto crème caramel (£5.75) had the unusual twist of a biscuit base and was a lovely combination of creaminess, almond and caramel. I’ve had a couple of deconstructed Tiramisu (£5.75) recently which have really pissed me off. Stop mucking around with it people! 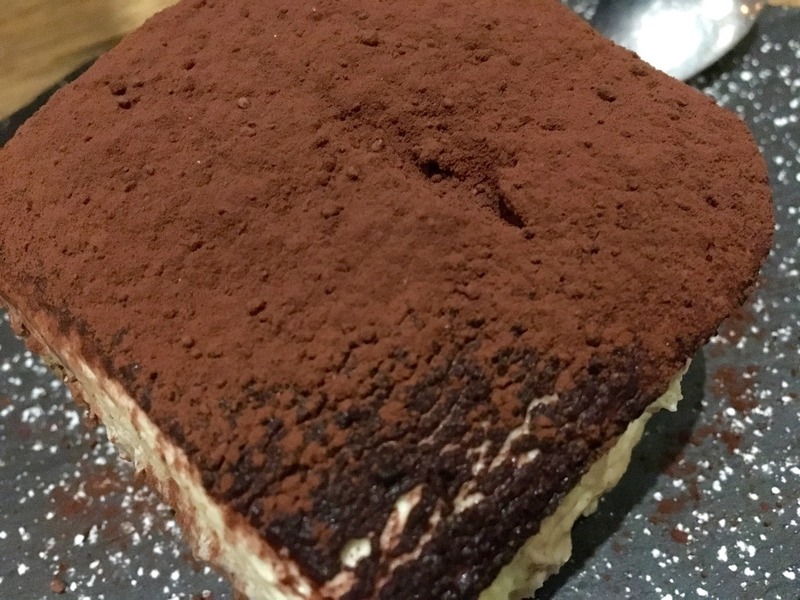 This was a classic version – sponge fingers in coffee, mascarpone, egg, sugar and cocoa delivering happiness on a plate. I really enjoyed Pizzicotto. 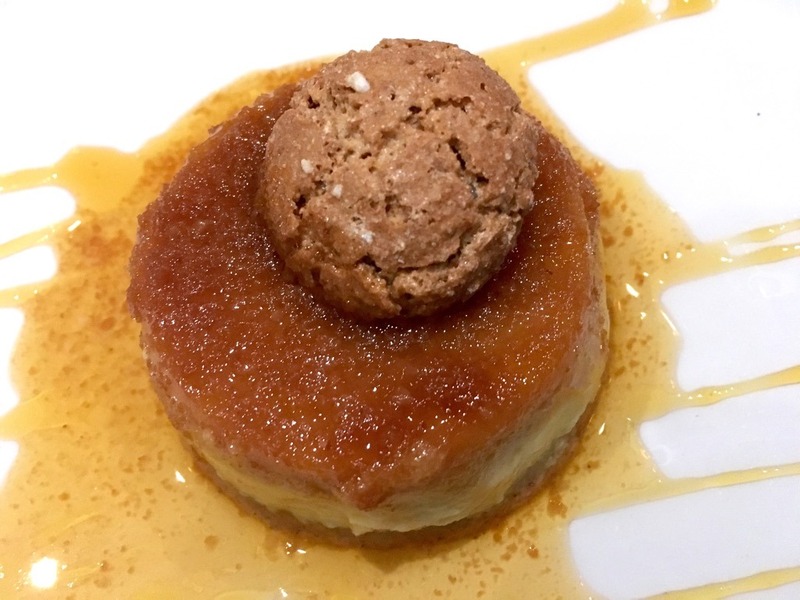 It delivers more than you might expect for a local Italian and isn’t afraid of innovation. It’s the sort of place I wish I had in my neighbourhood. What a lovely little Italian, that food looks delicious, sounds like a lovely place to eat.